For months, the town of Nome has been in turmoil. In a place that holds tight to discretion, long-simmering frustrations over how the police department handles sexual assault allegations and investigations have been airing publicly, commanding attention and prompting a local reckoning. Now, major reforms are taking place. The city government is even joining a call for federal officials to investigate the conduct of its own police department. Advocates spent years laying the groundwork for changes that are now starting to materialize. And they say they’re not done. On a November afternoon inside her tidy second-story apartment, Clarice “Bun” Hardy sipped a cup of coffee. In 2015, Hardy started working as a dispatcher with the Nome Police Department. “But I don’t think I could ever go back there,” she added. In March of 2017, Hardy says she was drugged and sexually assaulted. She was at a bar, halfway through a second drink before she blacked out. The next day she woke up in just a T-shirt, no idea how she got home or why she was in pain. Eventually, she found her phone under the couch, the battery dead. 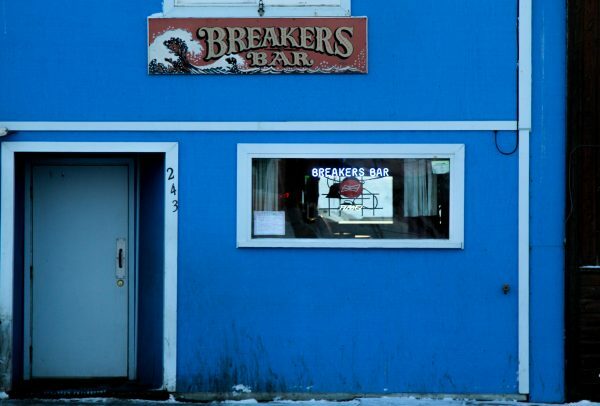 Breakers Bar on Nome’s Front Street, where Hardy says she was mid-way through a second drink when she blacked out March of 2017. She thinks she was drugged, and says she has almost no memory of the rest of the night (Photo: Zachariah Hughes – Alaska Public Media, Nome). “I got it charged, and that’s when my Snapchat just started blowing up,” Hardy said. In messages and voicemails, people kept asking if she was OK, and whether she had seen the video. Hardy believes that her assailant’s girlfriend broke into her apartment and took a video of the assault, putting it on social media soon after. She said it circulated for a few hours before being taken down. Hardy was horrified. She reported what happened to a colleague at work, Lieutenant Nick Harvey, who told her he’d investigate. Over the next few months, Hardy would ask Harvey about the status of the case, always getting the “same answer: ‘I’m working it,’” she recalled. But Hardy grew increasingly frustrated by what seemed like a total lack of progress. Eventually, she says, she started asking people she knew had seen the original video clip whether police investigators had followed up with them. Nobody had. “There was no report. He never talked to anyone,” Hardy said. Even though Hardy was a member of Nome’s small police department at the time, her case languished for more than a year. Harvey did not respond to multiple requests for comment. Earlier this year he was demoted from a lieutenant to a sergeant at NPD. For years, a group of mostly Alaska Native women in Nome was meeting. It started informally over dinners, sharing stories about sexual assaults they had lived through or heard about from friends and family. Ellanna hosted those first meals around her kitchen table, and eventually, the group solicited more stories from women around town, and from cab-drivers and bartenders. To them, it seemed like NPD didn’t treat assault allegations seriously if a woman said she was drinking or in a bar beforehand. “We started to hear this pattern of how the police department was not responding, was not investigating, was not following through, was not seeking justice on behalf of the victims,” Ellanna said. “This is years in the making,” said Darlene Paqpaluk Trigg, Ellanna’s friend and co-organizer, sitting beside her at the edge of a gathering room in a cultural center. Though ongoing national conversations around sexual harassment and assault have affected discussions in Nome, Trigg cautioned against placing too much emphasis on them as catalysts for what’s played out around town. “This is something that existed here prior to any of it being called out on the national scale,” Trigg added. An important chapter in Nome’s reckoning started in May, when Trigg and Ellanna were part of a group of about 20 women that showed up at a city meeting with a document. It outlined more than a dozen changes they wanted the city and police department to make in their handling sexual assaults. One was more training for officers who do interviews in assault cases. Another was better trauma response, and a third was cultural orientation for police new to the Bering Strait region. As the summer wore on, the typically sleepy council meetings were packed and the conversation grew heated. In the women’s estimation, nothing changed. So this fall, advocates started running for local offices. Trigg, a first time candidate, ran for a seat on the local school board, on a platform of improving racial equity. A 28-year-old lawyer, Meghan Sigvanna Topkok, landed a seat on the city council. Topkok knows firsthand what it means to mistrust the police department. She says that’s part of what kept her from reporting her own sexual assault after it happened in 2013, the same year she moved back to town after college. Though Nome is about half Alaska Native, for years, the six members of the town’s city council have been almost exclusively white and male. This fall, Topkok is one of the council’s two women. From her vantage point as an attorney and a council member, Topkok said the police department’s problems stem from its budget. This is a point almost everyone agrees on. Nome is a regional hub with the only bars and liquor stores for hundreds of miles in almost every direction. The volume of calls to emergency responders for help is staggering, with a huge share of them related to alcohol. The police force is small, often only able to field a single officer on each patrol shift, leaving little or no time for follow ups, investigations or community policing. One officer recently made nine arrests in a single shift, according to the department’s current head. There is disagreement, however, about the performance of the previous police chief, John Papasodora. Ellanna and Hardy, among others, say that racism as a problem within the department’s upper ranks. Those claims have revived memories of the 2003 case of Matthew Owens, a white Nome police officer convicted of abducting and killing 19-year-old Sonya Ivanoff. The tragedy remains a “stain on the community,” according to Melanie Bahnke, president of the regional non-profit Kawerak. In November, Kawerak asked the Justice Department to independently investigate whether there was a pattern of NPD ignoring sexual assault claims by NPD. In a new step, the City of Nome signed onto the same letter, agreeing to let federal officials look into local policing practices. Anchorage FBI spokeswoman Staci Feger-Pellessier said the bureau has received the request from Nome, but would not comment on whether an investigation is open. Now, Nome has a few new leaders in key positions. One of main targets of activists’ frustration this summer was the city manager, Tom Moran, who they felt was not doing enough to hold the police department accountable. Moran was pushed out of his job a few days before the end of his contract in October. Moran said that what might have seemed like inaction was in fact a difficult balancing act between transparency and respecting confidentiality in sensitive investigations and personnel matters. But he also acknowledged lapses. He pointed to gaps in training and staffing at NPD as a prime reason, as well as an insufficient budget for expanding public safety services. 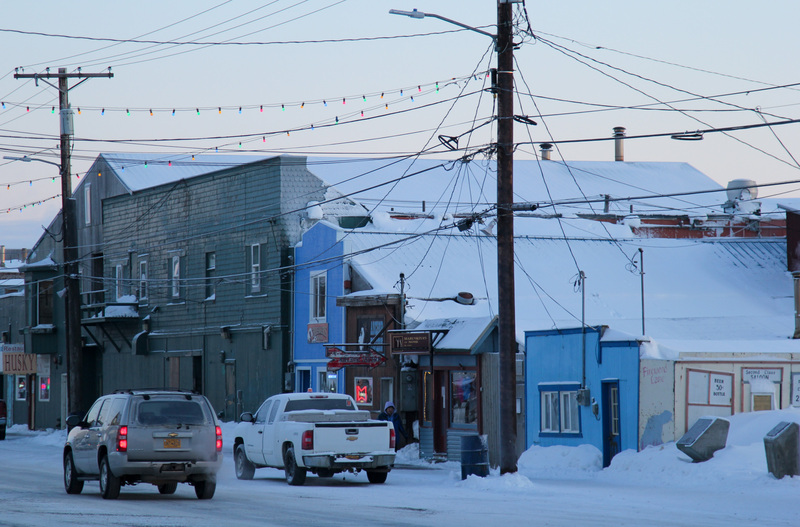 Leaders in Nome say the city is responding to those and other problems. The new police chief, Bob Estes, says he is committed to rebuilding the department, in part by incorporating more community input and hiring more officers. The new interim city manager, John Handeland, grew up in Nome, has deep ties there and supports the request for a federal investigation. For their part, activists worry that a few early reforms will allow deeper problems to go unresolved. City meetings have cooled off, with much sparser attendance. An early demand to set up a community advisory board to oversee the police department sounded at first like it was a sure thing. Now, according to Ellanna, the city council seems less committed. She worries that with less pressure on elected leaders, momentum will slow. For Trigg, the fundamental problem remains firmly in place: Women in Nome are still not safe. “When you have an investigation that comes back with conclusions and recommendations, that’s when you’re able to say ‘progress.’ Implementation of those recommendations: that’s progress,” Trigg listed off. “Taking the bad characters out of the equation: that’s just doing what’s right,” she added. One important change that has already taken root: the last few months of organizing have brought more personal stories of sexual assault out into public. Trigg and others say that is diminishing some of the long-standing stigma and isolation that used to come with keeping silent.